When it comes to the query tuning, EXPLAIN is one the most important tool in the DBA’s arsenal. Why is a given query slow, what does the execution plan look like, how will JOINs be processed, is the query using the correct indexes, or is it creating a temporary table? 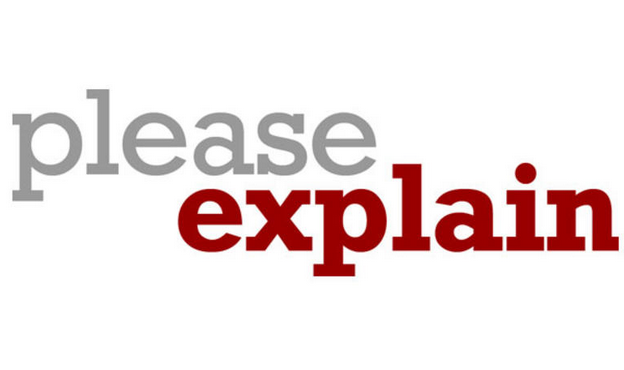 In this blog post, we’ll look at the EXPLAIN command and see how it can help us answer these questions. This is the thirteenth installment in the ‘Become a MySQL DBA’ blog series. Our previous posts in the DBA series include Database Indexing, Deep Dive pt-query-digest, Analyzing SQL Workload with pt-query-digest, Query Tuning Process, Configuration Tuning, Live Migration using MySQL Replication, Database Upgrades, Replication Topology Changes, Schema Changes, High Availability, Backup & Restore, Monitoring & Trending. We have a simple query to the ‘rental’ table which should return some information about rentals that happened at a given point in time. ‘select_type’ is SIMPLE which means this is not a UNION nor subquery. Next bit of the information is the table which is queried - ‘rental’ table, as expected. Next column, ‘type’, this is an information about join type. It’s more like an info about how rows will be accessed. In our case it’s ‘ref’, which means that it can be multiple matching rows and access will be done through an index. There are multiple join types and you can find detailed information about them in the MySQL documentation, we’d still like to mention some of the most popular ones. eq_ref - rows will be accessed using an index, one row is read from the table for each combination of rows from the previous tables. This basically means that we are talking about UNIQUE or PRIMARY keys. ref - as discussed, multiple rows can be accessed for a given value so we are using standard, non-unique index to retrieve them. index_merge - rows are accessed through the index merge algorithm. Multiple indexes are used to locate matching rows. This is actually the only case where MySQL can utilize multiple indexes per query. range - only rows from a given range are being accessed, index is used to select them. index - full index scan is performed. It can be either a result of the use of a covering index or an index can be used to retrieve rows in a sorted order. The next two columns in the EXPLAIN output, ‘possible_keys’ and ‘key’ tells us about indexes which could be used for the particular query and the index chosen by the optimizer as the most efficient one. ‘key_len’ tells about the length of the index (or a prefix of an index) that was chosen to be used in the query. ‘ref’ column tells us which columns or constants are compared to the index picked by the optimizer. In our case this is ‘const’ as we are using a constant in the WHERE clause. This can be another column, for example in the case of a join. You can also see ‘func’ when we are comparing a result of some function. ‘rows’ gives us an estimate of how many rows the query will scan, this estimate is based on the index statistics from the storage engine therefore it may not be precise. Most of the time, though, it’s good enough to give a DBA some insight into how heavy the query is. Final column, ‘Extra’, prints additional information relevant to how the query is going to be executed. You can see here information about different optimizations that will be applied to the query (using MRR, or index for group by or many others), information if a temporary table is going to be created and lots of other data. More information in the MySQL documentation so we encourage you to have this page somewhere near and refer to it when you’ll see something not clear in the EXPLAIN output. Let’s see what the EXPLAIN output of more complex query looks like. We’ll try to find all films released in the year of 2006 where the actor with a last name of ‘MIRINDA’ starred. Output is longer, we can see that three tables are involved in the query. As you can see, EXPLAIN refers to them using aliases defined in a query. By looking at the output we can see that the optimizer decided to start with the ‘actor’ table, using ‘idx_actor_last_name’ index to search for the correct last name. As a next step, ‘film_actor’ table was joined. PK was used to identify rows and as a reference sakila.a.actor_id column was used. Finally, ‘film’ table was joined, again using primary key. As you can see, join type was ‘eq_ref’ which means that for every row in the ‘film_actor’ table, only a single row in the ‘film’ table was queried. By looking at this query execution plan, we can tell it is pretty optimal. Lot’s of PK are involved, not that many rows are estimated to be accessed. Please keep in mind that, in joins, we need to multiply rows accessed on every step to get the total number of combinations - here we have 1 x 13 x 1 = 13 rows. This is pretty important as, when joining multiple tables, you can easily end up scanning billions of rows if your joins are not indexed properly. Obviously, an unoptimized join query will not work as expected and it may cause significant impact on the system. Partitions are great tool to manage large amounts of data. If we partition our table using temporal columns, we can easily rotate old data away and keep the recent data close together for better performance and lower fragmentation. Partitions can also be used to speed up queries - this process is called partition pruning. As long as we have in a WHERE clause the column which is used to partition a table, it may be possible to use that condition to access only relevant partitions. Let’s look at an example to illustrate this. This time we are going to use an ‘employees’ database. We want to find first and last name of employees who had a title of ‘Technique Leader’ between ‘1994-10-31’ and ‘1996-03-31’. Definition of table ‘title’ looks as follows. As you can see, one new column (‘partitions’) was added. It contains values ‘p10,p11,p12’. This means that optimizer, based on the WHERE condition, decided that relevant data is located only in those partitions. Others won’t be accessed. Given the ‘type: index’, the table will be scanned using PRIMARY key to locate matching rows. As a next step, WHERE condition will be applied to locate rows with title='Technique Leader'. Finally, ‘employees’ table will be joined using it’s PK. The most important part here is the fact that MySQL does not calculate our salary value all the time - it’s a constant so it can be cached. Additionally, as you may have noticed, we used USING(emp_no) in our JOIN, it was rewritten to WHERE condition which will give us the same result. As can be seen, optimizer detected IN() subquery and ‘in_optimizer’ kicked in. SELECT gender FROM employees e1 WHERE e1.emp_no = 10012 is an independent subquery therefore an obvious step was to make it a constant - but this is not exactly how the optimizer intends to execute this query. Instead it plans to materialize it (create a temporary table) and then join it to the rest of the tables using an automatically created index. "attached_condition": "((`employees`.`t`.`title` = 'Technique Leader') and (`employees`.`t`.`from_date` > '1994-10-31') and (`employees`.`t`.`from_date` < '1996-03-31'))"
There’s a lot of new data. For starters, we can see useful information in ‘used_key_parts’ section. Instead of guessing which parts of the composite index were used in the query, we have a nice list presented in the explain’s output. We have also precise information about what’s going on with the subquery in SELECT’s list. Let’s go over it step by step. We see it’s a materialized subquery and a single row will be accessed from it for every row in the outer query. We see that an index was automatically created and the table will contain a single row. This is the interesting part - a subquery was materialized using temporary table and the optimizer decided it’s a dependent subquery - something which is not exactly true. If a query is dependent on the outer query, it can’t be cached as a constant and a materialized table needs to be joined to the outer query. It’s much better than executing the subquery every time but it does not look ideal. On the other hand, it can be as optimal as using a constant, it depends on how MySQL handles constant values - it could as well put them into temp tables which basically would be exactly the same what it does now. The answer to this question would require checking source code. The rest of the data contains information about how the materialized subquery was created - e1 table (employees) was queried using PK lookup, a single row was returned. We need to comment on the ‘filtered’ column which can be seen across this blog post - for now, please disregard it. It will tell us about the number of rows that should be filtered by a given table condition. This will be an estimate only and it is available in MySQL 5.7. In 5.6, the data is not really reliable. In the next post in the series we are going to look into how we can impact optimizer’s decisions and generate more efficient query execution plans.